We’re pleased to announce that in the year since we launched, over 200 libraries now use Library Anywhere as their mobile catalog and homepage. Library Anywhere takes an existing OPAC and makes it mobile—you can also create a custom homepage with Library Anywhere (add hours, events, contact info and more)—making it your entire mobile library website. 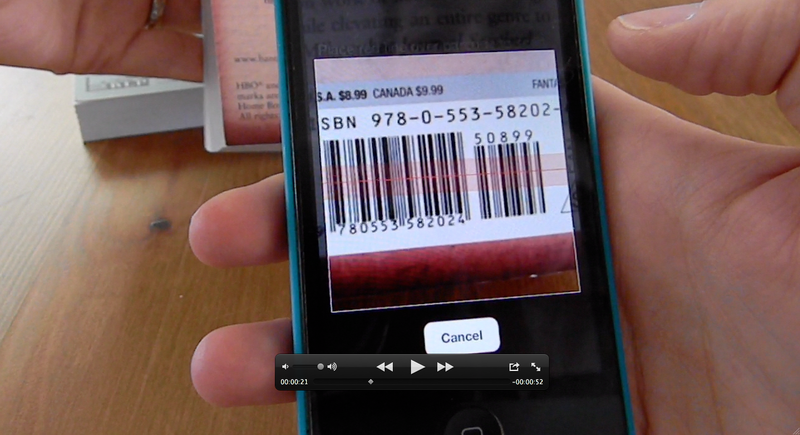 Our new barcode scanning feature is available in both the iPhone (and iPad, iPod Touch, etc.) and Android apps. It lets you quickly scan the ISBN on a book and see if your library has a copy. Read the more about barcode scanning here. Library Anywhere now includes the ability for any library to translate or edit any of the strings of English text into whatever language they like. Libraries can also choose to have multiple languages and link between them—one in Spanish, one in English, for example. Read more about multilingual support in Library Anywhere here. The Version 1.3 update of Library Anywhere added a built-in web browser. This means that when you click external links in Library Anywhere (that go to ebook records, mobile databases, etc. ), they no longer completely leave Library Anywhere, but launch a browser within Library Anywhere. That makes it simple to just close and go back to the page you were on before. We’ve added the ability to include booklists on your Library Anywhere homepage. We’ve enabled screen rotation for iOS, so when you’re on your iPhone or iPad, you can now move your phone to switch between portrait and landscape mode. We recently added a comprehensive statistics section to Library Anywhere, keeping track of traffic, users, native app vs. mobile web use, and more. Read more in this blog post, which also includes a screencast. We have a number of additional updates coming down the pipeline, so stay tuned. Library Anywhere is the mobile catalog and homepage for over 200 libraries and library systems worldwide. See all the libraries using Library Anywhere by simply clicking the … menu within Library Anywhere and choose “Select a Library”. Read more about Library Anywhere here. Webinars are scheduled for every Tuesday afternoon at 2pm EST. Sign up for one today and I’ll tell you everything you ever wanted to know, and more, I promise.